If you answered YES this is exactly what you are looking for – all the support you need to learn how to improve your mindset, overcome anxiety, limiting beliefs and fears as well as improve your personal development in any way that you want to. DO YOU FEEL THE YEARS GOING BY WITH LITTLE GROWTH IN YOUR LIFE? ARE YOU READY TO GET INTENTIONAL ON WHAT YOU WANT FROM LIFE? Receive all you need for your best year yet in one place. Improve your mindset by creating a morning routine of personal development. Set clear goals for everything you want to achieve. Review your months and plan to improve even more. DO YOU NEED SOME AFFIRMATION INSPIRATION? If you’ve heard of affirmations you’ll know just how powerful they are and the huge impact they can have on your life. 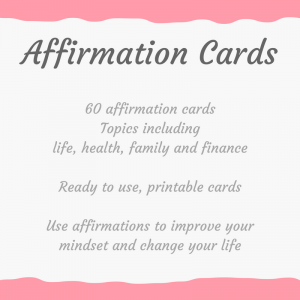 This is just what you’re looking for – 60 printable affirmation cards to get you started on improving your mindset with affirmations. ARE YOU LOOKING FOR A WAY TO IMPROVE YOUR MINDSET? DO YOU WISH YOU KNEW WHERE TO START WITH PERSONAL DEVELOPMENT? 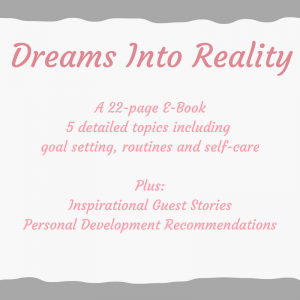 A 22-page E-Book covering different topics of personal development to improve your mindset and your life. I share with you my personal development journey and my knowledge on the topics I have used myself to overcome anxiety, limiting beliefs, fears and become a much happier and more positive person. DO YOU EVER FEEL LIKE YOU SPEND SO MUCH TIME LOOKING AFTER EVERYONE ELSE THAT YOU FORGET ABOUT YOURSELF? DO YOU WONDER HOW THERE’S TIME TO SIT BACK AND REST OR TREAT YOURSELF REGULARLY? 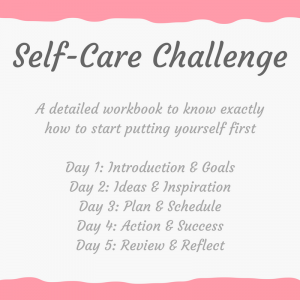 ARE YOU LOOKING FOR A WAY TO ADD SELF-CARE INTO YOUR LIFE? 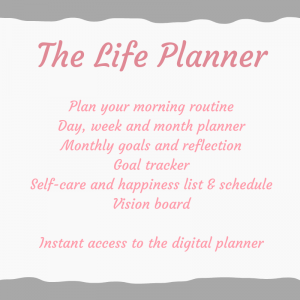 I’m sure you’ve heard that self-care is such an important habit but can never manage to find time for it in your busy schedule.